This recipe is a whole bunch of oeey gooey cheesyness. Cheese, Cheese, and more Cheese! We love cheese in our family if you haven't already noticed based on many of my recipes. This recipe is the trifecta! Quick, Easy and Frugal yet packs a punch﻿ of yummyness! It is also VERY kid friendly. 1. Cook pasta according to directions on box. Drain. 2. Add diced tomatoes or spaghetti sauce to drained pasta. Simmer on low heat for 5-7 mins stirring often. 3. 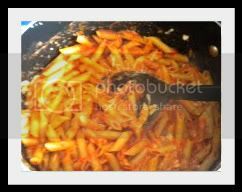 Add 1 cup of Mozzarella Cheese into the pasta the last 1-2 minutes, stir until cheese is melted. 4. Sprinkle the remaining 1/2 cup of Mozzarella Cheese on the separate servings of pasta as you are serving. Pair with a salad and/or some garlic bread. 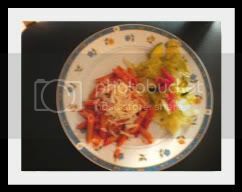 You can also add meat into this recipe ﻿OR shred some zucchini in it and your kids will never know they are eating vegetables because all the cheese camouflage them. Alternate title: Yo Baby! It's Greek To Me! LOL! 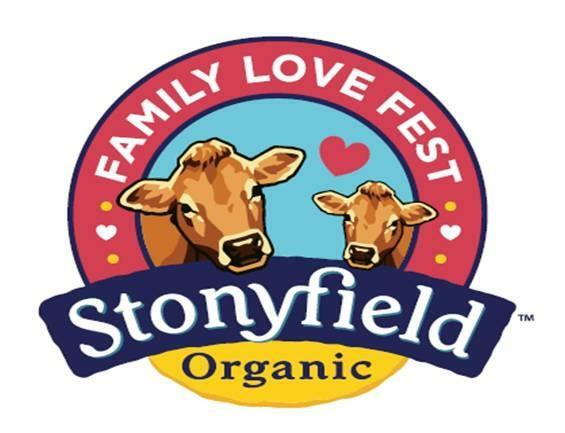 Stoneyfield Organic Family Love Fest is coming to town! They will be at the Corbett Fun Fest on Monday, July 4th, 2011. This stop on the tour will allow local families the opportunity to play, eat and learn from *organic* experts. Make sure you stop by for some yogurt tastings, cooking demos and food and nutrition information. They also have their "pooping cow" that teaches about organic farming. Stoneyfield Organic will donate $1.00 to Healthy Child, Healthy World for every hand print added to the event's hand print wall. Stoneyfield recently contacted me since their Family Love Fest Tour is stopping in Corbett, Oregon about 7 miles up the road from us. As per usual, if it is a brand I trust and believe in, I am more than happy to write a post about their products. 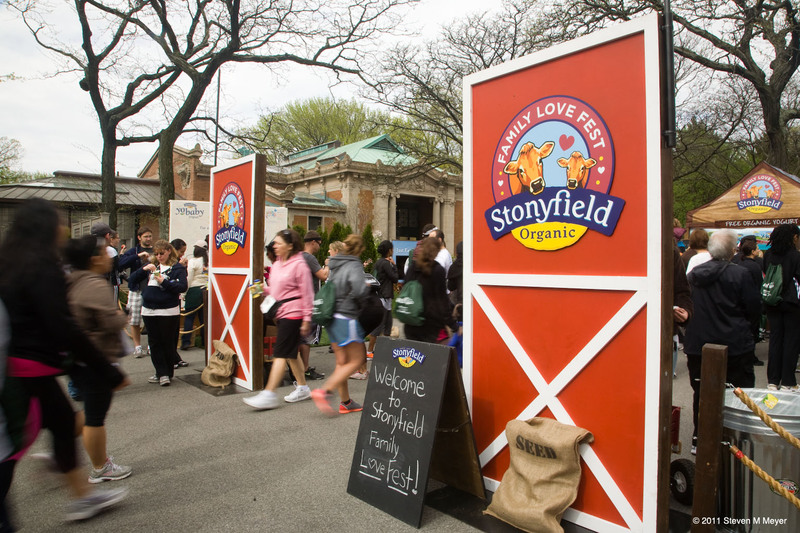 Stoneyfield Organic is the maker of the Oikos Greek Yogurt and Yo Baby brands. Two brands that I purchase on a regular basis and just so happen to *love*. Oikos is the only organic Greek yogurt available nationally; it’s made from organic milk that’s free of toxic and persistent chemicals, antibiotics and synthetic growth hormones. Kyleigh really likes the greek style yogurt. No funny after taste like some of the other greek style yogurts we have tried. I used their 0% Fat French Vanilla Yogurt for part of my Strawberry Vanilla Parfait I made Tuesday night. Man, was it heaven! Smooth and creamy! I would have had seconds but I ran out of the yogurt fairly quick since a few others in the house, who shall remain anonymous, loved it too. And the Yo Baby yogurt, it is a 3-in-1 combination of protein-packed yogurt + fruit + veggie purée in one cup . All inclusive, got to love that! Kaylyn really digs this yogurt. I can't seem to get the spoon in her mouth fast enough. She barely eats one bite and she is hollering for another. Make sure the next time you are in the store to pick yourself up some Stonyfield Organic Yogurt. I promise you won't be disappointed! And for anyone local going to the Corbett Fun Fest, make sure you stop by their booth. **This post is written on behalf of Stoneyfield Organic. All opinions are 100% mine. I was not paid to write this post however I did get free product to review. It is his birthday today. Hard to believe he is 45! Who said wine gets better with age? I think John Cusack does. Say Anything happens to be one of my all time favorite movies. One of those coming of age movies that brings back tons of memories from that year (1989). Funny how a song, a movie can bring memories flooding back like it was yesterday. The song that he plays from the boom box: In Your Eyes by Peter Gabriel also another fav of mine. I actually had this poster on the back of the door at my old office. True story! Happy Birthday, John! Hope you had a great day! Yea! *enter sarcasm here* It's Monday! But one thing I do *love* about Mondays is Menu Plan Monday meme over at I'm An Organizing Junkie. This meme keeps me on track each week with our family meal plans. You should try it. As you will notice this weeks menu includes tons of cheese. Our family *loves* cheese (especially me) and in our house we only use Tillamook. Tillamook was so kind to send me some coupons for free cheese recently, so of course, I redeemed them. Did you know that their medium cheddar was voted Worlds Best in 2010? *I will post these recipes in the coming weeks. Make sure to check back often. This was not a paid endorsement for Tillamook Cheese. I did however get coupons for free product recently but was not required to write a post about them. All opinions about Tillamook Cheese are 100% mine. I *heart* cheese. Orange, Cherry or Grape. I must have said it a bazillion times. Easy enough choice, right? Ha! "We don't have Lime. We have Orange, Cherry or Grape", I say again. A few minutes pass while he is wiggling around looking them over (they are still in the wrappers might I add so he really can't see them very well). "We don't have Chocolate, we don't have Lime. We have Orange, Cherry or Grape. Which one do you want? ", I say with a little bit more urgency in my voice since a this point they are starting to melt. "Orange", he finally says. So I give him the Orange Popsicle. I take the Cherry one and proceed to start eating it. Literally seconds later after he already started to eat his Popsicle, he eye balls mine. "I want Cherry", he says. Next time, I don't think I will be giving the 4 yr old the choice. He gets whatever flavor I pull out of the box. What are your favorite "cold" treats for a warm summer day? **This is not a paid endorsement of Popsicle brand nor am I affiliated with the links referenced in this post. For your viewing pleasure, here are some of the pictures of the Hot Air Balloon Night Glow we went to last night. The size of these balloons and the colors they illuminate when lit up at dusk are magnificent. These pictures hardly do them justice. And the last two pictures are what everyone waits for: The Night Glow. When they all light about at the same time it illum﻿inates the whole sky. It is just beautiful. They don't actually fly at night. They stay tethered and you can talk to the pilots, Balloon Masters, etc. This is a great educational opportunity. They did however launch each morning of the festival at 5:45am weather permitting and these past 3 days of the festival have been almost perfect weather. Time for another round of 6WS with Cate over at Showmyface. You can *heart* this linky too! All you need to do is describe your life (or something) in a phrase using just six words. Feel free to explain or not explain. Add an image, a video, a song, nothing. Tigard Festival of Balloons. Night Glow! If you have never been to a Hot Air Balloon Night Glow, you are missing out. It is so beautiful. This is the first time we are taking the little ones. I am sure Hayden is just going to be in awe. The balloons are so big and when they light them up just as it gets dark, aweeeeeeesome! The festival has rides, good food, music...what more can you ask for. This ought to me a lovely afternoon/evening out with the family. This is his cell phone so he can get the digits for his groupies. His drumstick so he can rock out. And his tip jar for cold hard cash. Last night while he was having a jam session, he asked me to put some money in his tip jar like at Saturday Market. Gotta love the imagination of a 4 yr old! The time has come to "lose" the binky. No more bink.bink for Miss K.
She has actually done well without it every now and again because we have lost her "favorite" one and couldn't find another one. I am sure there is a binky graveyard somewhere in our house that I will find someday with all the missing binkys (and my debit card). I swear we started off with several only to be left with 1 now. It's like the holy grail. You would think it was made of gold & encrusted in diamonds with how "coveted" it is. I think we probably freak out more than her when we can't find it. It is the soother of all things. Everything is all better with the binky. Ok, so maybe this isn't going to be as easy as I think. 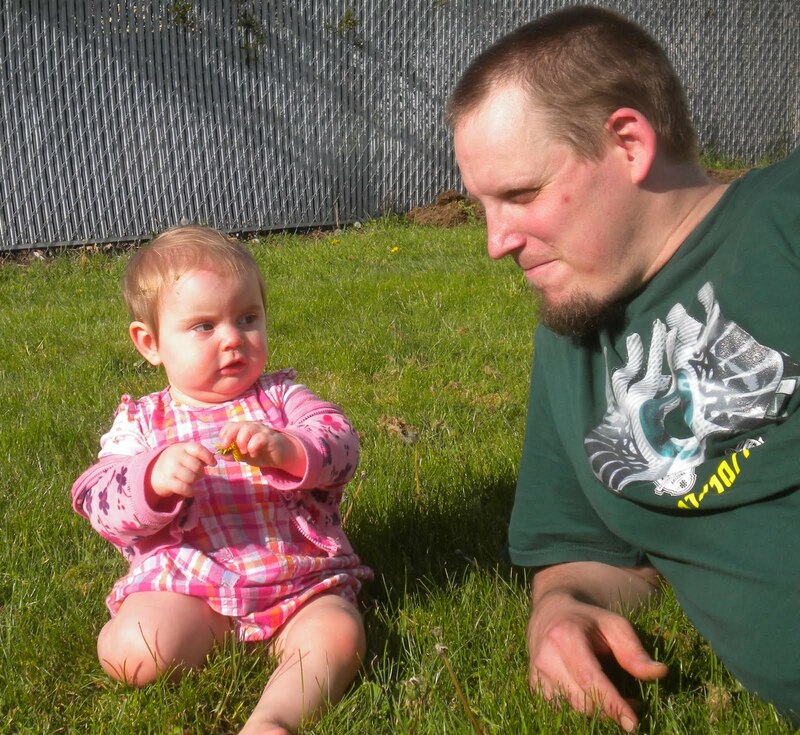 But she is almost 14 months and has several teeth now. She is also talking babbling quite a bit and I don't want a binky in her mouth hindering her. So I *think* it is time. We are going to have a bye, bye binky party on Saturday. We plan on including the few bottles that we have left in this soiree too. Maybe I will serve some appetizers. Maybe not. Does your baby use a binky? When will or did your baby stop using it? I just have to say that these are D-E-L-I-S-H. 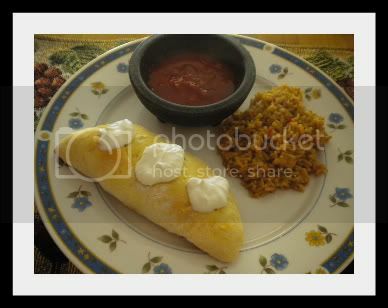 These were on my menu last week and the recipe comes from the kitchen of my bestie, Shannon. 1. Coat deep frying pan with olive oil. 3. Heat on med until onions are caramelized. 4. Add in diced chicken breast. Add salt and pepper to taste. Cook until golden brown. 10-12 minutes. 5. While chicken browning, break apart the diced chicken chunks to where it is almost ends up "shredded". 7. Put your sour cream, cream cheese, can of green chili and cheese into large bowl. Mix. 8. Once chicken done, add chicken to sour cream, cream cheese, green chili, cheese mix. Since the chicken is warm, it will melt all the ingredients and mold them together. 9. 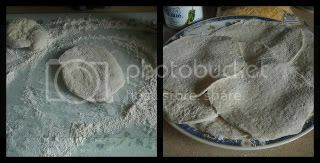 Place a couple tablespoons of the mixture into the middle of your rolled out biscuits. 10. Fold over. Close the sides of the biscuits by placing your fork on the edge, working around the folded biscuit until it is completely closed. 11. Put small vent in the top of each of the biscuits (otherwise they will blow up). 12. Cook on a baking sheet in oven on 400 degrees for 12-15 minutes or until the top of each of the biscuits are golden brown. Serve with a side of sour cream, guacamole or salsa. They just melt in your mouth! Our family loved these! I actually made my menu this morning but just didn't have time to post it until now. I am linking up again with I'm An Organizing Junkie. Check it out. Lots of ideas and recipes. No more boring dinners. Hope everyone has a fabulous week and eats well! *I will be posting the recipes for these in the coming weeks and will add them to my "Easy Peasy" Recipe page. In light of the weekend birthday extravaganza (two birthdays, two days & Father's Day thrown in there too) on Saturday when I was preparing all the kids fare for Hayden's party there were a few "tools" that I was lovin' and thankful I had. Without them I couldn't have pulled it off. Thank you for my tuna press for so faithfully draining all the water out of the can. There is nothing worse than soggy tuna. My melon baller. What can I say. I am so ever grateful to you and your consistency in shaping the cantaloupe in such perfect round shapes. And the last but definitely not the least, the stars of the show. My heart & star cookie cutters! I don't know what I would have done without you guys! You ROCK! Our sermon today was on excuses not necessarily on excuses of why people don't attend church but excuses in general. Our pastor did however read this poem and I felt compelled to share it. Yesterday was Hayden's 4th Birthday and mommy (that would be me) decided to make cute little finger sandwiches for our guests along with other "kid" friendly fare since it was a kids birthday. Make sense, right? What I didn't realize when I decided on this "grand" idea is how time consuming it was going to be. I had to make enough sandwiches and ants on a log for 16 people. I was literally cutting and making sandwiches and putting raisins on the logs minutes before guests arrived. Talk about cutting it close. I told you they were cute! I made two kinds Crunchy Tuna Salad (Stars) and PB&J (Hearts) . The Crunchy Tuna Salad turned out so good. Want the recipe? 1. Combine all items in a bowl. 4. Spread your tuna mixture on one side of the bread shape. 5. Top with the other side of shape. *Each bread slice was able to cut two shapes. Depending on the size of your cookie cutters will obviously determine how many shapes you get from a piece of bread. And the ants on a log. That is a simple one. Celery stuffed with cream cheese or peanut butter and raisins. These were a little messier since I was kinda in a bit of a hurry at this point. Oh well, everyone ate them anyways. I guess it doesn't matter what they looked like. I also made a Fruit Salad and Pasta & Ham Salad. I will save the Pasta & Ham Salad recipe for a later time. Everyone had a great time and Hayden made out like a bandit! Now onto another birthday today, my oldest is turning 19! We are taking her out to dinner tonight with extended family. No cooking or making food for me today. Thankfully! Do you know what time it is? It's Howdy Doody Six Word Saturday Time! That's right. Describe your life (or something) at the moment in Six Words and then link up with Cate over at Show My Face. No need to be all serious either. You can have fun with it! I love this meme! I love seeing what everyone else comes up with. Hayden's Birthday. Kyleigh's Birthday. Father's Day. Phew. We have back to back birthdays this weekend. Hayden's 4th today. Kyleigh's 19th tomorrow and then of course Father's Day. It's funny, you can't wait for the weekend so you can slow down a bit and yeah, it never works out that way in this household. We are having a party for Hayden this afternoon. Serving fun "kid friendly" finger foods to the guests and yummy cake. He is beyond excited. This is all he has been talking about for about the past week. So cute. He just melts my heart. Happy Birthday! I love you, my little tornado! This is a picture of him taken at the parade a couple weeks ago. That is one of those balloon yo-yos. It didn't take long for that to get popped and water all over. And then tomorrow we are taking Kyleigh out to a nice dinner with several other family members and we are using this as kinda a "Father's Day" dinner too. Husband gets to go golfing for a few hours after church tomorrow as his "Father's Day" gift. I think I will take a nap with the kids while he is gone. I am sure I will need it after today. LOL! It's hard to believe I "birthed" you 19 years ago. Where did the time go? I am so proud of what you have accomplished in your life so far and look forward to seeing you continue to blossom into a young woman. You are truly beautiful on the inside and out. 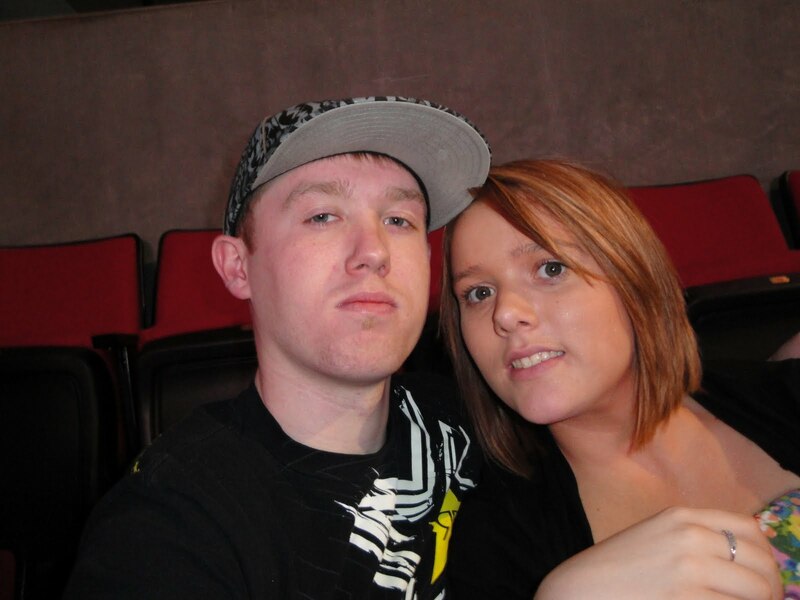 I love you, My Sweet Babe! Happy Father's Day to my husband and the "best" daddy around. Thank you for being such a loving & caring father to our children. I love you!